There is a special place in our heart for Katherine Mahoney and her beautiful ceramic pieces. Not only do we stock many of Katherine’s pieces, we also have the privilege of working with her through the REAL Foundation Mentoring program for which she is a dedicated mentor. Originally from Kent, England, Katherine began her training in the 70′s working as a production thrower for Keith Harding at Cranbook Station Pottery. She soon opened her own pottery studio (Fulling Mill Pottery) with her brother, where they designed and produced a range of domestic ware. Katherine then moved to Hong Kong where, inspired by the rich culture of Asian ceramics, she turned her hand and attention to creating sculptural single pieces, which were successfully sold and exhibited throughout Asia. Today, Katherine is based in Sydney and continues to create stunning pieces that are sculptural yet functional, delicate yet robust. Katherine’s pieces reflect her journey Eastward and Down Under. 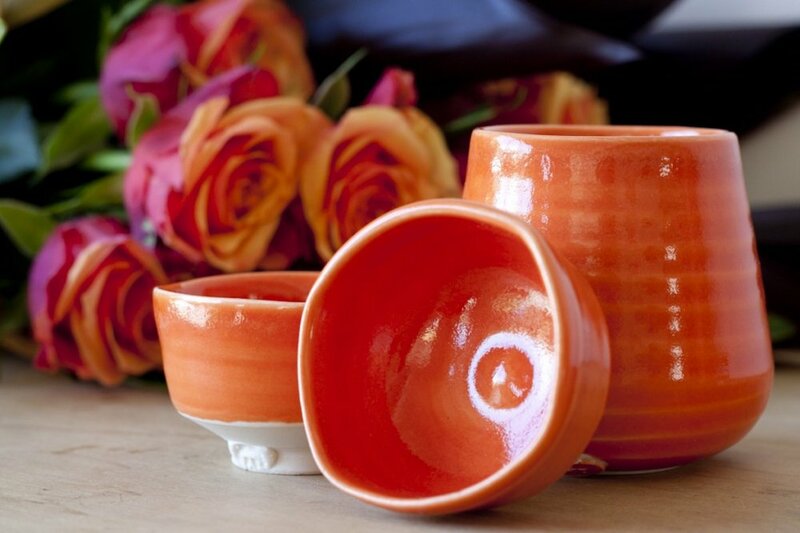 Sake cups glazed the colour of our Australian desert, a minimalist aesthetic weighed down by an earthy pull. 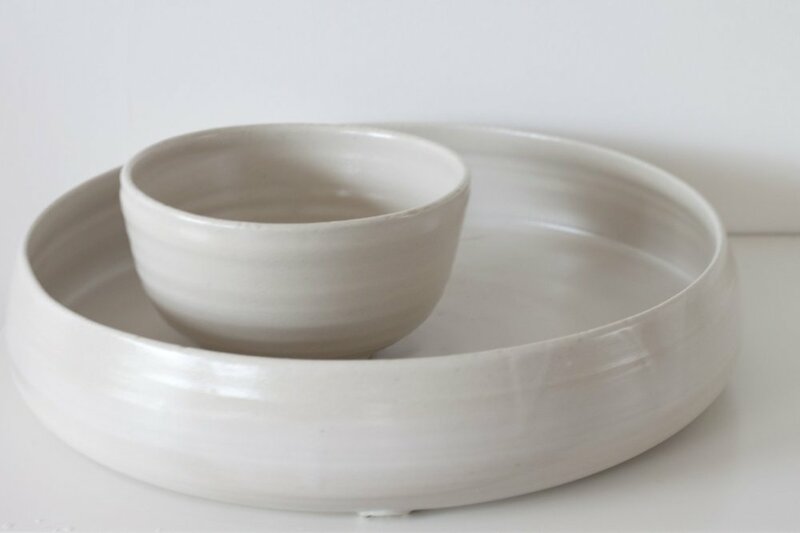 Worked with a combination of porcelain and stoneware, these pieces are both exquisite and durable. All glazes are made in the studio and range from rich earthly reds and ochres, to cool blues and greens – only to be offset by strikingly simple white and black pieces. Katherine’s work embodies the beauty of an art form that easily finds its place in a museum or gallery but that is most at home on a dining table, a mantelpiece, or a sidebench… in other words, at home. r.e.a.l Travel Diary \\ Ethical Fashion Africa Ltd. : Not Charity, Just Work.